3 Pack! More for your family! 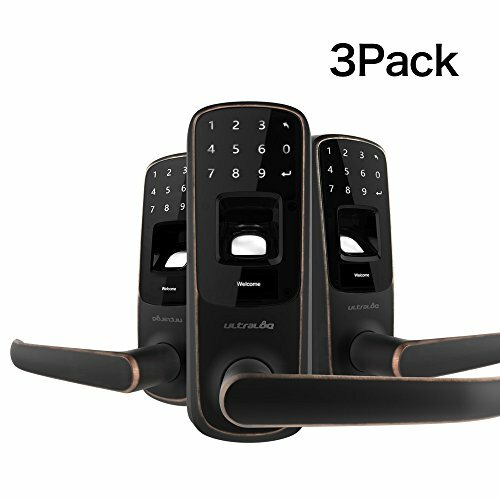 Ultraloq UL3 smart lever lock is designed to be "RealKeyless" for maximum flexibility and convenience. You are free to use fingerprint, code or key to unlock. You have full control of all guests' access and you can simply share a code to let visitors in when you are not there. Easy Setup and DIY Installation; Fit Door thickness between1-3/8"~1-3/4". Long Battery Life, Up to 8,000 times access. Low battery alarm on LCD. If you have any questions about this product by Ultraloq, contact us by completing and submitting the form below. If you are looking for a specif part number, please include it with your message.